Hilary Westfield dreams of being a pirate. 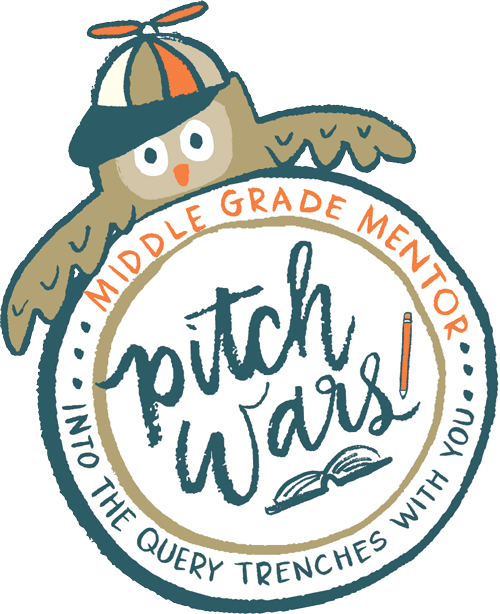 But there are a few minor problems standing in her way, such as The Very Nearly Honorable League of Pirates' refusal to allow girls to join their piratical ranks. Instead of heading out to sea, Hilary, along with her dearest friend, the gargoyle, finds herself being shipped off to Miss Pimm's Finishing School for Delicate Ladies. In an effort to escape a life of waltzing and crochet hooks, Hilary answers an ad for a pirate crew and is soon swept up in a seafaring adventure involving a rather secretive map, a magical treasure that may or may not exist, a rogue governess, and the most treacherous--and unexpected--villain on the High Seas. Pirates, magic, a talking gargoyle...what's not to love? If you're looking for a story that is everything a children's book should be (fun story, fast pace, perfect voice, vibrant characters, AND it's hilarious! 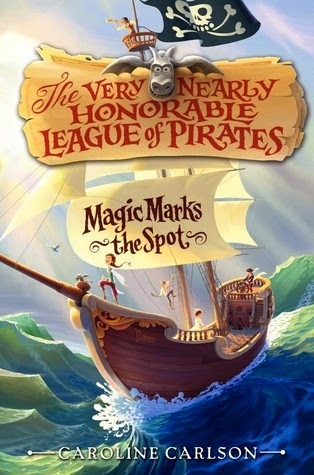 ), The Very Nearly Honorable League of Pirates: Magic Marks the Spot is very definitely it. It's the type of book that insists you read a snippet out loud every five minutes to whoever happens to be in the room--the brilliance MUST BE SHARED. Best of all, in a book that could have been filled with cliches, I found a refreshing array of unexpected characters and plot turns. The perfect end to my 2014 list of books read, this one shoots right to the top of my favorites for the year. And if the grin on the face of my nine year old is any indication, she's enjoying it just as much as I did. Verdict: If you're looking for a great start to your 2015 literary treasure hunt (for you or your kiddos), consider this the X that marks the spot. It's seriously so hard sometimes to keep track of who you've actually been introduced to in real life and who you've just seen online! :) It was so nice to finally meet you in person! And yes, do check out the book - it's fabulous!